Getting a comprehensive dilated eye exam is one of the best things you can do to keep your eyes healthy. In this painless procedure, an eye care professional examines your eyes to look for common vision problems and eye diseases, many of which have no early warning signs. Different from the basic eye exam one has to get for glasses or contact lenses, comprehensive dilated eye exams can help protect your sight by making sure you are seeing your best and detecting eye diseases in their early stages, before vision loss has occurred. • Dilation—Drops are placed in your eyes to dilate, or widen, the pupils. Your eye care professional uses a special magnifying lens to examine your retina to look for signs of damage and other eye problems, such as diabetic retinopathy or age-related macular degeneration. A dilated eye exam also allows your doctor to check for damage to the optic nerve that occurs when a person has glaucoma. After the examination, your close-up vision may remain blurred for several hours. • Tonometry—This test helps to detect glaucoma by measuring eye pressure. Your eye care professional may direct a quick puff of air onto the eye, or gently apply a pressure-sensitive tip near or against the eye. Numbing drops may be applied to your eye for this test. Elevated pressure is a possible sign of glaucoma. • Visual field testt—This test measures your side (peripheral) vision. 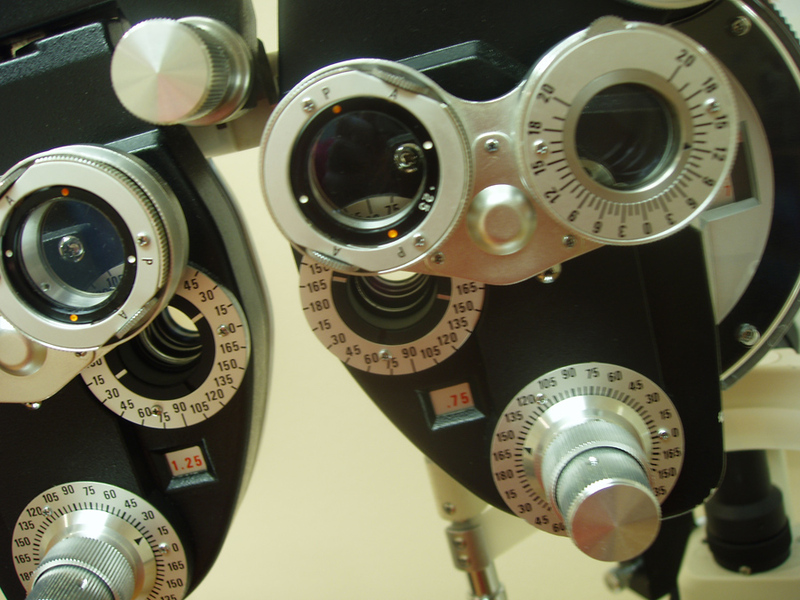 It helps your eye care professional find out if you have lost side vision, a sign of glaucoma. • Visual acuity test—This eye chart test measures how well you see at various distances.